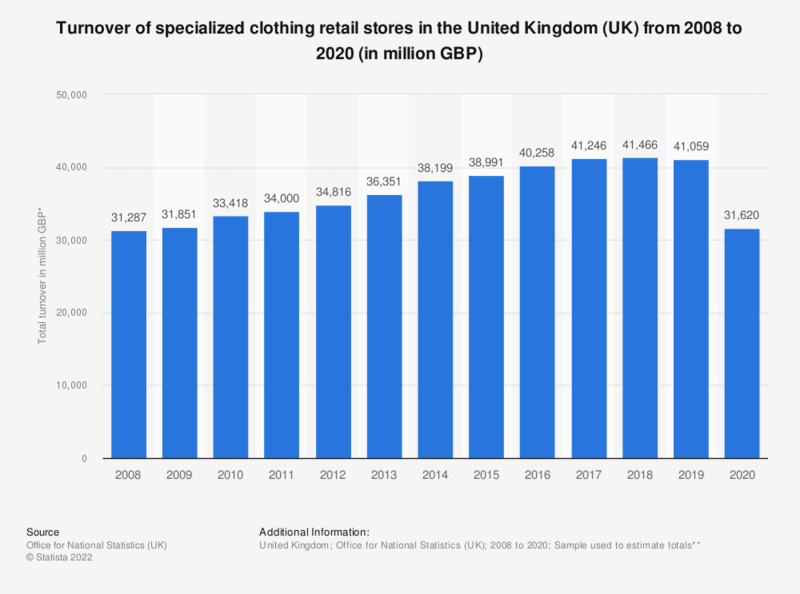 This statistic shows the total annual turnover of specialized stores for the retail sale of clothing in the United Kingdom (UK) from 2008 to 2016. In 2016, clothing stores generated a turnover of around 40.26 billion British pounds, a slight increase compared to previous years. How often do you buy clothes for yourself because you need clothes for a special/new occasion?